Welcome to the first in a series showcasing my recommended brewing kits. The latest issue of the magazine includes my feature ‘Brew Your Own Adventure.’ It’s a choose your own adventure story, where your choices in the story determine the outcome, and along the way you get to discover the best brewing method for yourself. 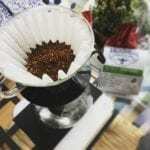 I wanted to compliment this series – which ends in recommendations of various (mostly manual) brewing methods – by giving you my best recommendations of tools to use. I’m using a platform called ‘Kit’ to do this, where I can show off kits of gear. You can get all of the kit, or just pieces. The first I’m going to share here is my Home Brew: Chemex Kit. The Chemex is an iconic brewing method. 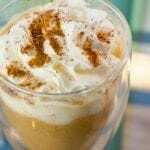 You might think by its recent surge in popularity that this brewing tool is something new – something made to go with the surge in popularity of specialty coffee. You may be surprised then to learn that this year is the 75 year anniversary of the invention of the Chemex! The Chemex was invented by a chemist in 1941. It quickly rose to popularity during WW1 due to the simplicity of materials needed. It’s just glass, paper, and wood – though the paper filters being used are proprietary (being very thick, they filter quite well), they are simple folded paper squares. 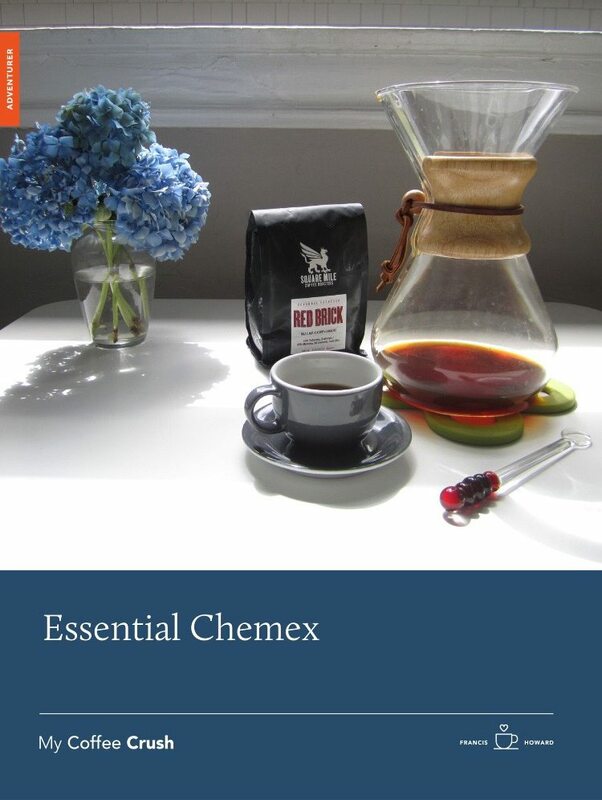 Aside from its unique visual style and filters, the Chemex is basically a pour-over brewing method. You add the filter and grounds above, pour a certain amount of water over the grounds, and then you have your brewed coffee in the serving carafe below. And now, here is my Home Brew: Chemex Kit. Naturally, you must have a Chemex and the Filters. I personally prefer the 8 cup Chemex, as that gives you a nice balance of making coffee for yourself in small or larger batches, but also making coffee for a group should you have the opportunity (and this makes for a great showpiece at a get-together). I’ve also included some other very important components of a good home brew. The scale is an Acaia. These are very top of the line, and not inexpensive (the Acaia running about $130) – but worth every penny. It is very important to brew your coffee by weight instead of volume (I’ll be doing an entire article on this subject soon). While you can certainly use a regular kitchen scale, the Acaia comes with some exceptional perks. The speed of reading weight changes is nearly instantaneous (this makes a big difference when pouring water…if it takes a couple seconds for your scale to register, it can be a pain to measure pouring water). The scale is cordless and does not auto-shutoff. 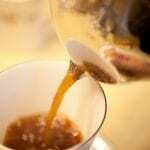 As soon as you experience a scale shutting off automatically while you brew, you will understand why that’s a big deal. And, it connects with an app that tracks your brewing, creating what they call ‘brewprints.’ You can follow other people, take their ‘brewprints’ and follow them as your own brew recipe. I interviewed Rex Tseng, the inventor of Acaia last year – check out that issue. Right behind the scale in importance is a good grinder. Grinding fresh, and grinding properly are two very important components to a good home brew. We have done tests on grind freshness [linktotheshow], and in short, after a few minutes of being ground, you start to rapidly lose vibrancy in your cup. Just think of a bright beautiful orange sunrise over a crisp mountain lake as your ‘just ground coffee’ and then think of a dull overcast morning in the city as your ‘was ground awhile ago’ coffee. Far less vibrancy (though it should be noted a well-roasted coffee will still taste delicious pre-ground, you will just have a muted experience). The grinder I recommend is a Baratza Encore. This is the #1 best value home brew grinder, hands down. For the dollar, there is no better grind quality, build quality, or service support to be found in an electric grinder for simple home brewing (there are better grinders at higher tiers, but for the Chemex, this is all you need). Lastly in this kit is a gooseneck kettle. Now, you might look at this and think “that’s silly, I have a kettle.” I understand your point of view there. For a very long time, I held the same thought. I have a water kettle, it pours water. The main argument for a gooseneck kettle is very controlled pouring. When you start really getting into the recipe you use for brewing Chemex, and into extracting the most out of your coffee, a slow controlled pour is a requirement. But even if you aren’t interested in that, let me just tell you that pouring water for brewing coffee (or tea, or hot chocolate), is like 10000 times better with a gooseneck kettle. They are light, it’s easy to control the flow of water (so you aren’t just sloshing water onto coffee grounds, willy-nilly, or into your cup and on the counter), and it’s easy to actually pour (I know my old kettle had the handle on top, and I got tired of awkwardly bending my wrist to pour). If you are at all serious about brewing coffee, there’s no reason not to get a gooseneck kettle. Especially If you get everything else in this kit. For more on the Chemex, check out Francis's Coffee Crush in the current issue, all about the Chemex.